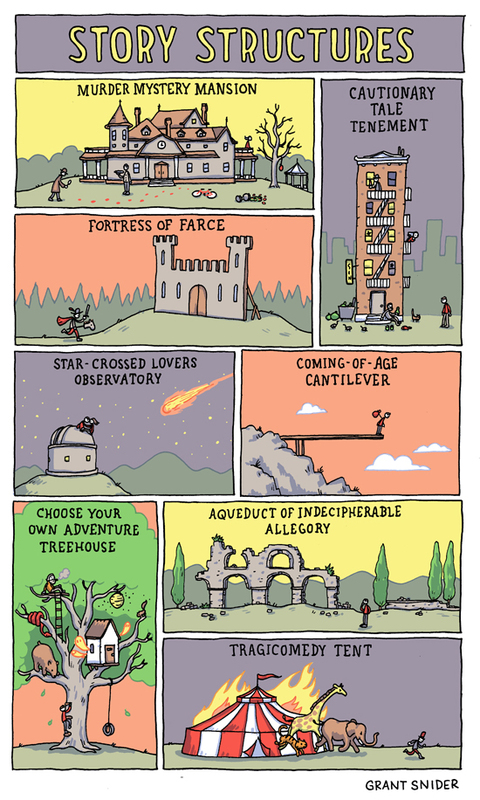 You can get a poster of this and many other fine literary comics at my Poster Shop. I love the tree house, they are all special to me. I love your architectural and engineering references. Do you use photos for the details? I cut this out of the newspaper, along with the one about diversifying your portfolio. Excellent! I just sent links to these to my friends in the storytellers facebook group. Thanks! Great comics! Thanks a lot for sharing with us.